How much do we know about and appreciate the man who was the husband of the Mother of Jesus and the guardian of our Redeemer? How do we honor him? 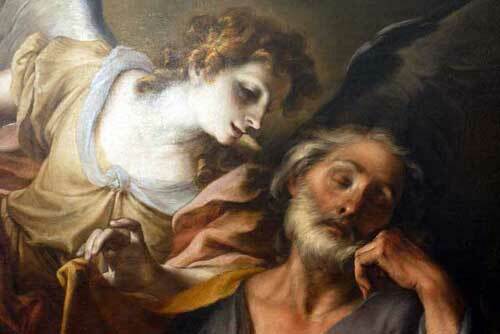 St. Joseph is often overlooked. Scripture says little of him. We seem to give him scant attention. Yet devotion to St. Joseph has deep roots in Christian tradition. 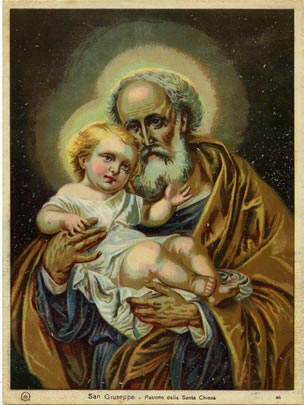 Joseph is often the overlooked member of the Holy Family. Do you remember as children when we wrote “J.M.J.” at the top of our papers in Catholic school? We did that to remind ourselves to have the intention that Jesus, Mary, and Joseph had in life as we did our own work. 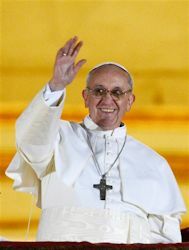 We pictured the members of the Holy Family side by side. If one might think that Joseph’s fatherhood was not quite real or effective because he did not physically procreate Jesus, let that person speak with adoptive parents, especially those who have conceived a child of their own and adopted others. They will let you know how real Joseph’s fatherhood is. Joseph played a very important role as Jesus “grew in wisdom, age, and grace before God and men.” In the Jewish tradition children were, until the age of five or so, in the special care and tutelage of their mothers. But beyond that age children came under the special guidance of their fathers. 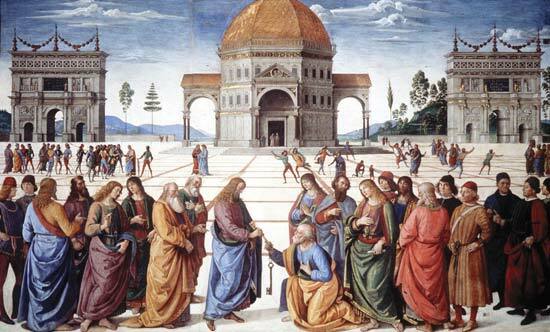 Joseph by duty and privilege was the rabbi of the Holy Family to teach Jesus the Jewish faith and practices. Joseph led his family in the worship of God in their home at Nazareth. At meal times both Mary and Jesus looked to Joseph at the head of the table to offer the prayer of blessing. Each year when the great evening of the Passover was celebrated, the youngster Jesus played his role and addressed the ritual question to Joseph: Father, why is this night different from every other night? Then he listened with his Mother to Joseph’s narration of the glorious events of the Exodus and the explanation of the meaning of the paschal lamb. Later Jesus would hear John the Baptizer proclaim him, the Son of Joseph and Mary, the Lamb of God who would take away the sins of the world. When Jesus was of age, Joseph introduced him to synagogue worship. Jesus was faithful to the synagogue rituals throughout his life. 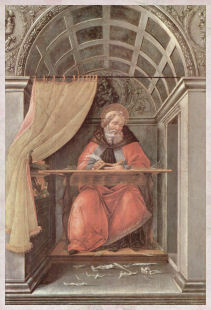 Joseph also taught Jesus the skills of a carpenter. 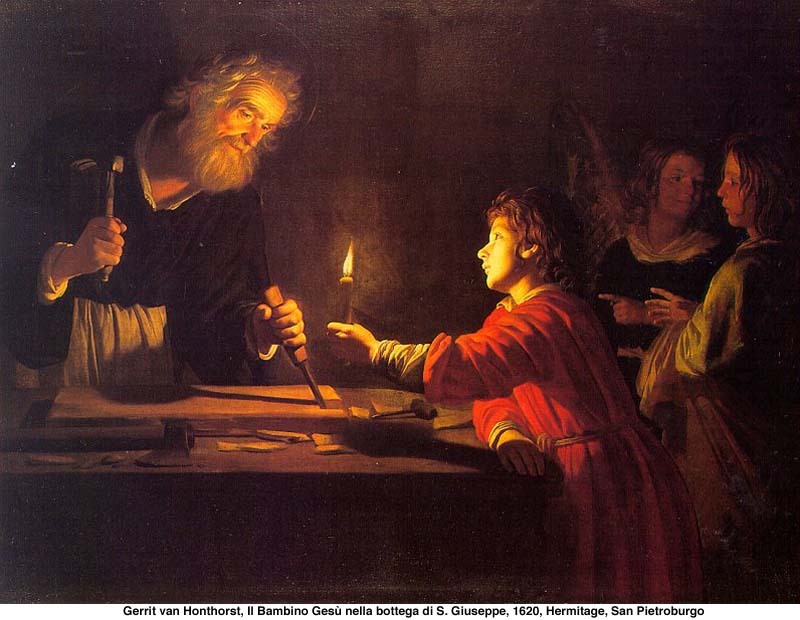 Through the practice of this trade Jesus supported himself and his Mother after Joseph’s death. 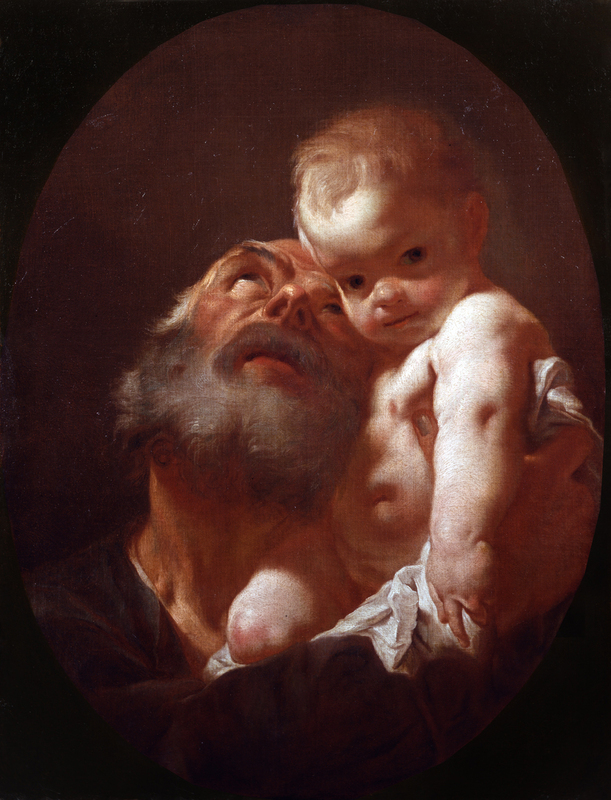 Jesus’ human experience of fatherhood was drawn from his relationship with Joseph, his own earthly father. When Jesus said, “What father would hand his son a stone when he asks for a loaf or a poisonous snake when he asks for a fish,” surely he had in mind how kind and gentle Joseph was to him as he was growing. When Jesus told the parable of the prodigal son, Joseph must have been the model of that loving father. As Jesus described how the father hugged and kissed the son who had been lost, perhaps he was recalling how Joseph hugged and kissed him after he had been lost in the temple for three days. When Jesus taught us how to pray, he began with the same loving title with which he had addressed Joseph all his life, abba. His deep affection for Joseph is evident in the circumstances of the gospel. Joseph made a profound impression on Jesus. Has Joseph made an impression on us? How do we think of St. Joseph, honor him, and pray to him? Do we appreciate the special place he has in Christian spirituality and in our own heritage? Let us revere wholeheartedly the husband of Mary, the foster father of Jesus, the patron of the universal Church. After all, he is the man who is closest to Christ. 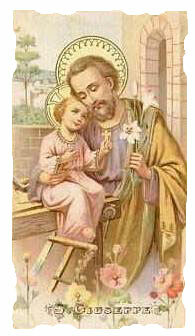 Today we celebrate the feast day of one of my favorite saints, St. Joseph. Some of us have finished the 30 day novena today. 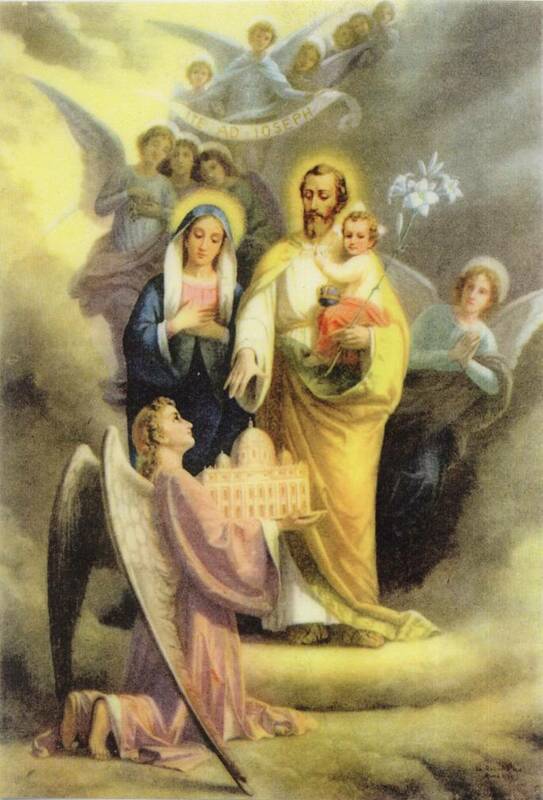 Each day of that novena we were reminded of how much we rely on St. Joseph to help and just how much he suffered during his life on earth. 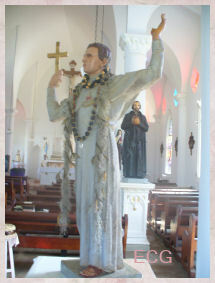 He is the patron saint of fathers, workers, the universal church, the dying, the homeless, etc. 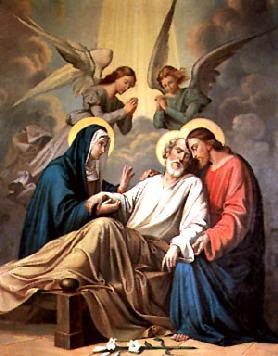 Not one word St. Joseph uttered was ever recorded in the New Testament yet his silent actions speak louder than words would ever do. 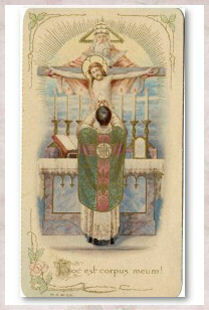 The 30 day novena is truly a beautiful way to recall this saintly foster father of Jesus. I just love him!! 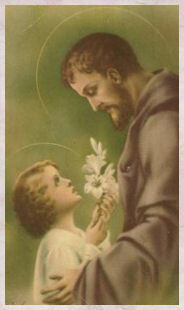 There is a well-known saint who took St. Joseph as her mentor and advocate. 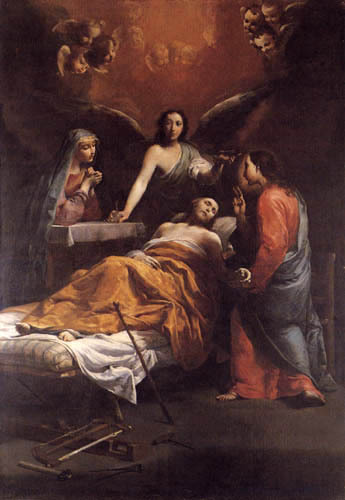 That saint was St. Teresa of Avila. The following excerpt is from her autobiography. 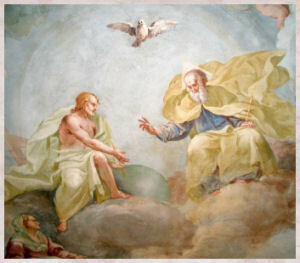 "...I took for my advocate and lord the glorious Saint Joseph and commended myself earnestly to him; and I found that this my father and lord delivered me both from the trouble and also from other and greater troubles concerning my honour and the loss of my soul, and that he gave me greater blessings that I could ask of him. I did not remember even now that I have ever asked anything of him which he has failed to grant. I am astonished at the great favours which God has bestowed on me through this blessed saint, and at the perils from which He has freed me, both in body and in soul. To other saints the Lord seems to have given grace to succour us in some of our necessities but of this glorious saint my experience is that he succours us in them all and that the Lord wishes to teach us that as He was Himself subject to him on earth (for, being His guardian and being called His father, he could command Him) jut so in Heaven He still does all that he asks. This has also been the experience of other persons who I have advised to commend themselves to him; and even today there are many who have great devotion to him through having newly experienced this truth. I used to try to keep his fest with the greatest possible solemnity; but, though my intentions were good, I would observe it with more vanity than spirituality, for I always wanted things to be done very meticulously and well. I had this unfortunate characteristic that, if the Lord gave me grace to do anything good, the way I did it was full of imperfections and extremely faulty. I was very assiduous and skillful in wrongdoing and in my meticulousness and vanity. May the Lord forgive me. I wish I could persuade everyone to be devoted to this glorious saint, for I have great experience of the blessings which he can obtain from God. 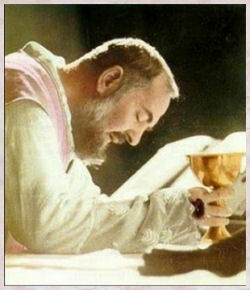 I have never known anyone to be truly devoted to him and render him particular services who did not notably advance in virtue, for he gives very real help to souls who commend themselves to him. For some years now, I think, I have made some requests of him every year on his festival and I have always had it granted. If my petition is in any way ill directed, he directs it aright for my greater good. 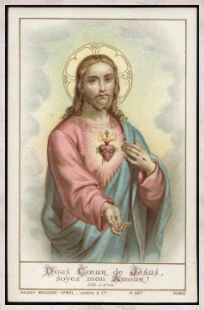 "Most Sacred Heart of Jesus, truly present in the Holy Eucharist, I consecrate my body and soul to be entirely one with Your Heart, being sacrificed at every instant on all the altars of the world and giving praise to the Father, pleading for the coming of His Kingdom. Please receive this humble offering of myself. 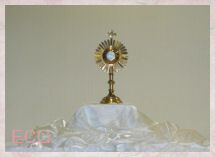 Use me as You will for the glory of the Father and the salvation of souls. 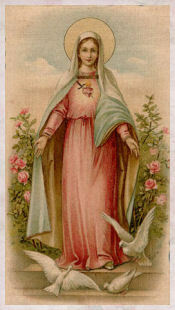 Most Holy Mother of God, never let me be separated from your Divine Son. Please defend and protect me as your special child. Amen." It is a prayer we should circulate urgently. 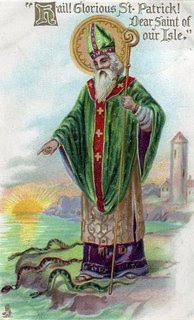 Sad that St. Patrick wasn't remember at Mass this morning. 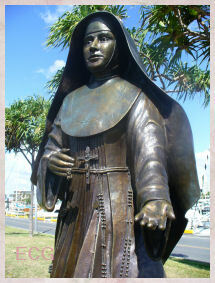 His feast day isn't such a big deal here in Hawaii as it is on the east coast. But that is alright. I I'm sure people remembered anyway because most were wearing green. 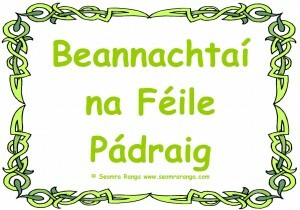 Today everyone is Irish! spread the Good News in numerou8s foreign lands. to continue the work you began. I am listening to the birds twittering in the trees. Funny that I did not even notice the baby birds calling for their mothers outside my open window until this very moment. They are probably hungry. Here it is late morning and this is the first time I have taken a pause to actually savor the serenity in my home. I thought Church was the only place I could find stillness and spend time alone with the Lord. I am also observing my pets. They are quietly enjoying just being here in their safe and familiar surroundings. We could learn a lot from animals. I hope I never take for granted the sanctuary that is my home. Check out Richard's 7 bad reasons here. I think he has done a good job of covering all those reasons given by family who have fallen away. Victory for Choose Life License Plates!!! Following came from Russ Amerling of Choose Life, Inc. and Aloha Pregnancy Care and Counseling Center. I think we all should say a special prayer for Steve Holck who went personally paid for many fees in order to save this pro-life license plate. Hawaii was in danger of being the first state to lose the Choose Life license plate. Mahalo nui loa Steve!! There are now 234 Choose Life License Plates on the roads in Hawaii. Much ALOHA to all who answered our call of urgency, with a special Aloha to APCCC Founder Steve Holck who personally paid for the first fees of close to a hundred pro-lifers. Please remember that the battle for Life is far from over and we urge people to continue to purchase the Choose Life plates. We will be making this an ongoing program, and anyone who cannot afford the first fee for the plates of $30.50, can email steve@alohapregnancy.com and a check will be mailed to you. We also need your continued vehicle donations to Christian Family Charities, "Donate Any Vehicle" program. 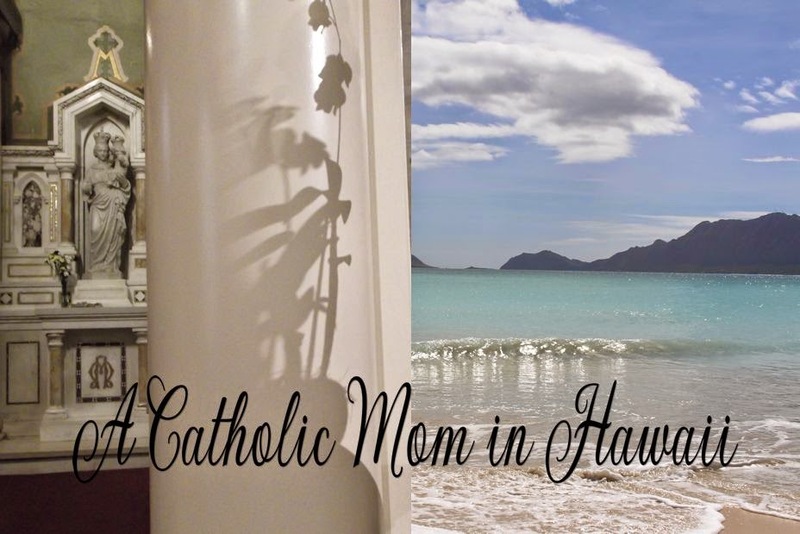 You may find additional iformation on alohapregnacy.com. Watch for ongoing alerts on our website, with information on our upcoming banquet and Tshirt program. 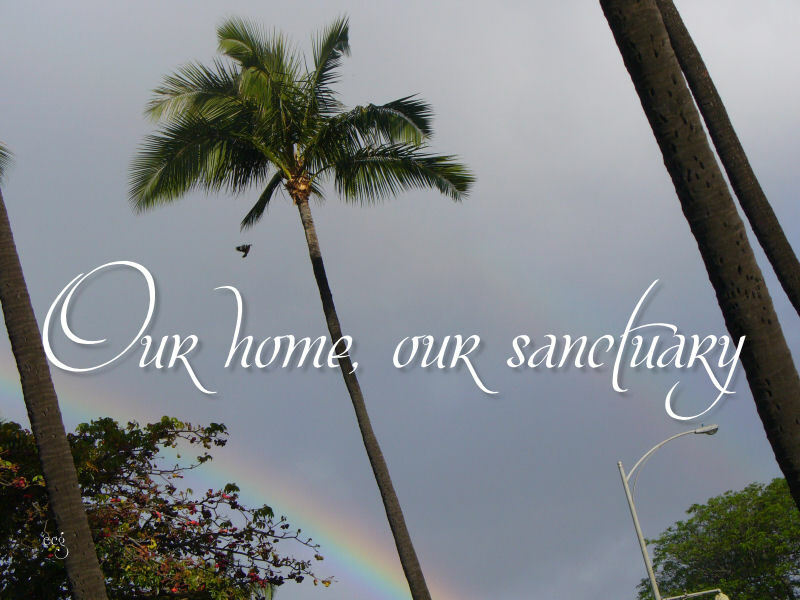 Please continue to support the Aloha Pregnancy Center with prayers and remember to tell your friends that volunteers are still sorely needed, especially nurses. ALL PRAISE TO GOD THE FATHER AND HIS SON, JESUS THE CHRIST. Terry has a lovely post on St. Francis de Sales over at his blog Idle Speculations. 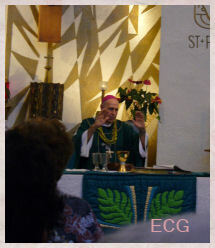 FYI - A Refutation of the "15 Secret Tortures and Sufferings of Jesus"
I shared the 15 Secret Tortures of Jesus here. Ever since then I have been thinking a lot about these "secret tortures". I did a little search online and the refutation of these claims. here. The writer makes a pretty good arguments on why these revelations cannot be true. I am therefore sharing it with you.